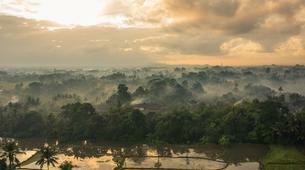 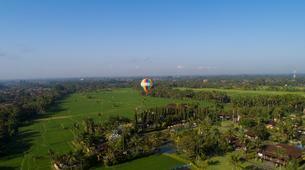 Discover the natural drama of Bali from above on this tethered hot air balloon ride in Ubud. 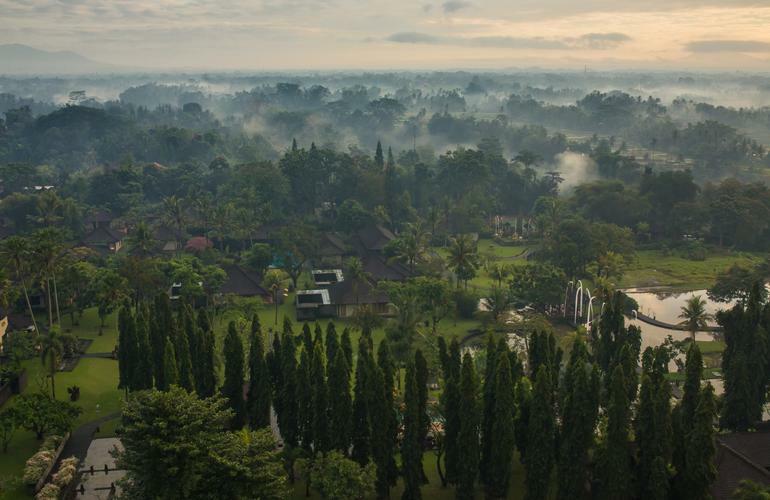 Rise above the tropical canopy on this scenic aerial experience in the highlands of Bali. 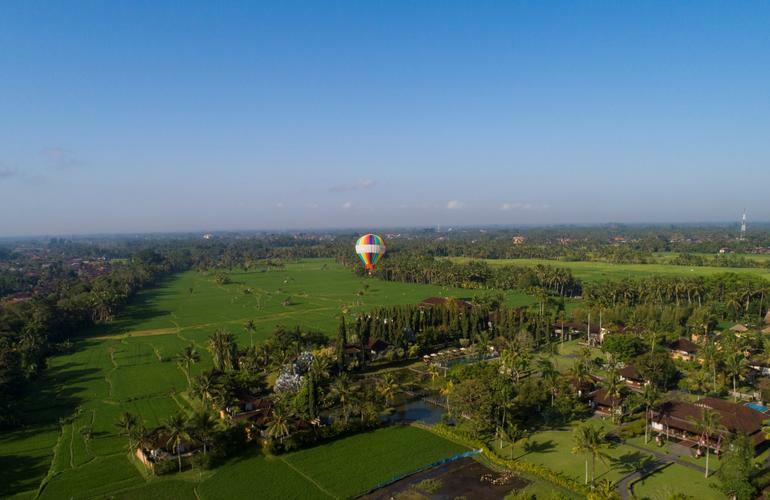 Each flight climbs a thrilling 50 metres over rice fields (static). 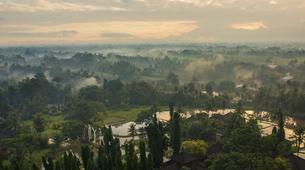 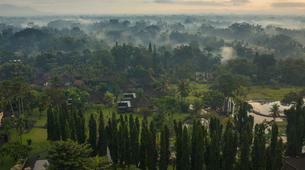 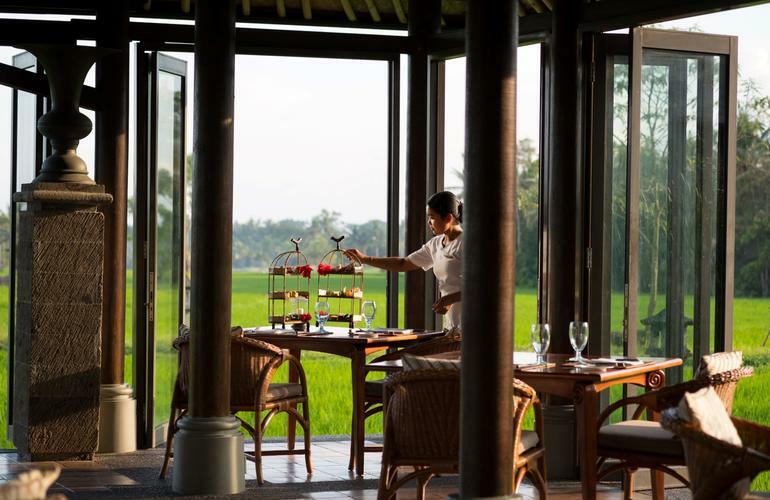 Truly awe-inspiring panoramas extend from the lush tropical forests of Ubud to holy Mount Agung on the eastern horizon. 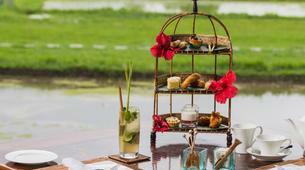 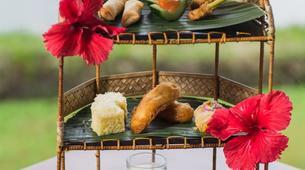 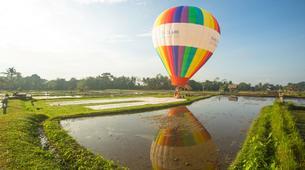 This activity takes place at The Chedi Club Tanah Gajah, Ubud. 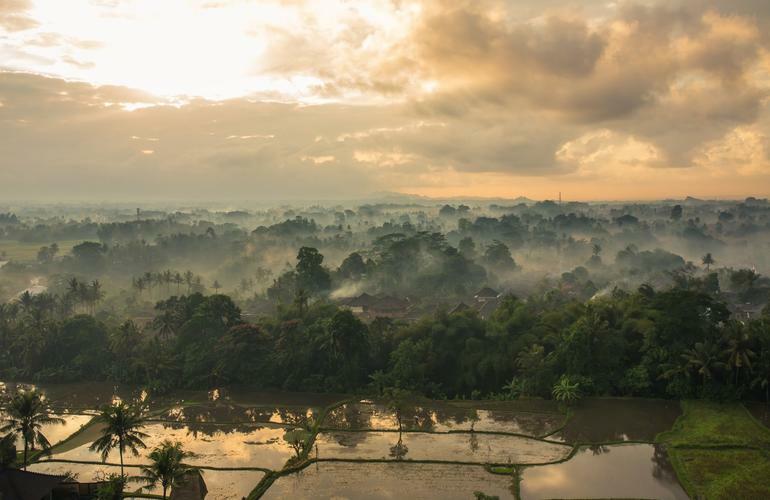 Considered the creative and spiritual heart of the Balinese island, it is just an hour's drive north of the airport and is renowned for its stepped rice paddies, Monkey Forest & temples that include the Ubid Water Palace. 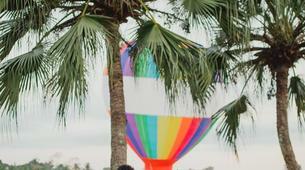 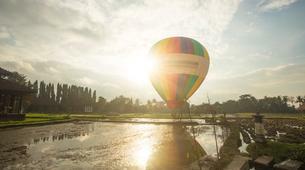 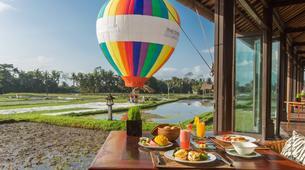 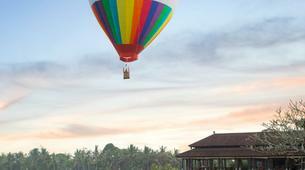 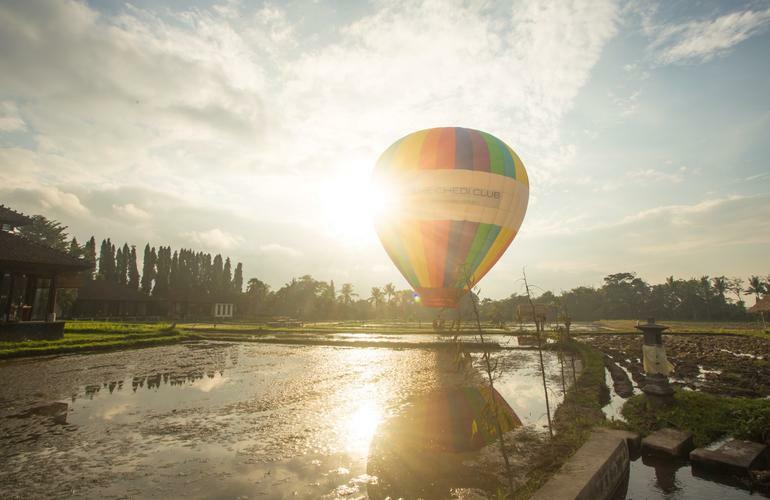 Meet your pilot at the activity base for this tethered hot air balloon experience in Ubud. 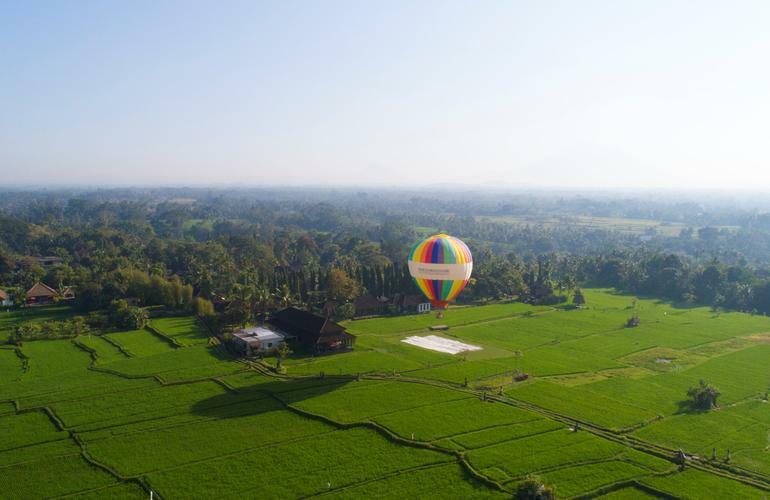 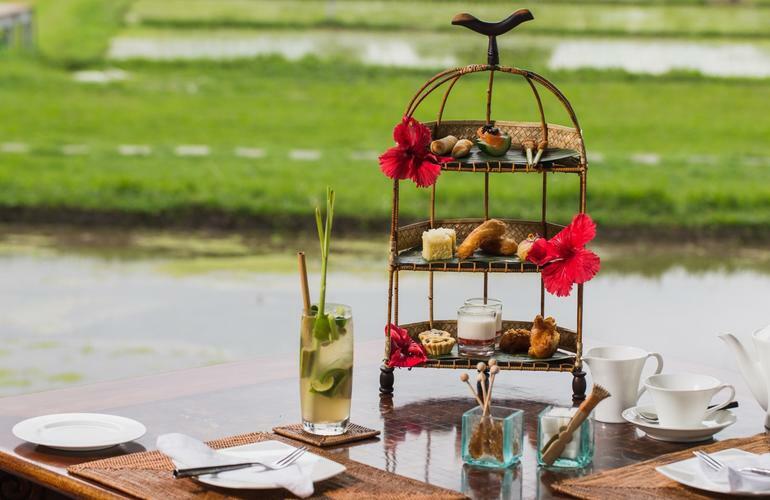 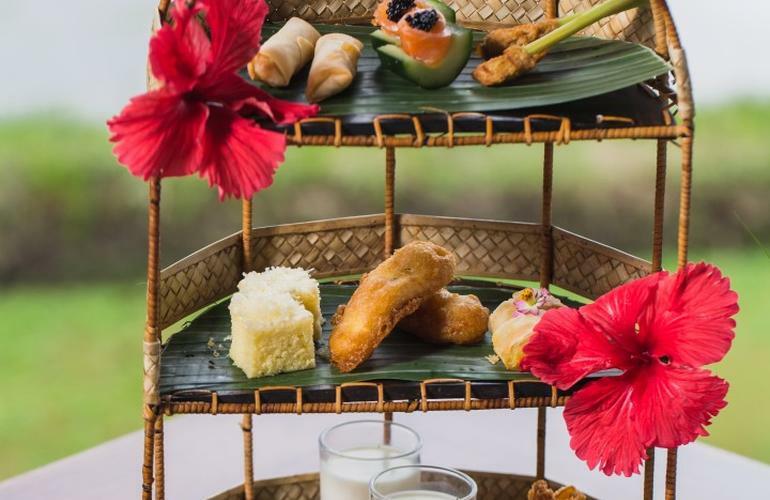 A static flight for two, discover the colourful contrasts of the Balinese landscape from the air – offering exceptional 360° views of the untamed jungle and beautifully manicured rice paddies below. 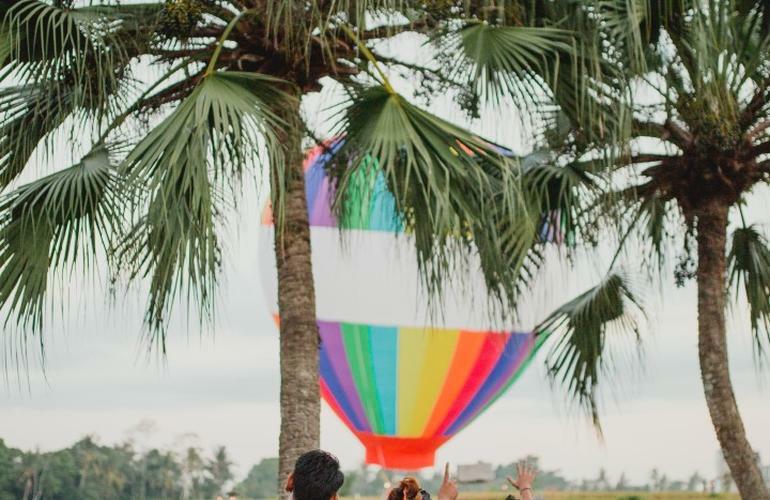 Choose from one of three experiences that capture the island in a different light, opting for a sunrise, afternoon or sunset option. 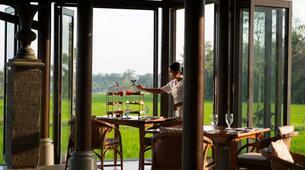 Drink in views of Mt. 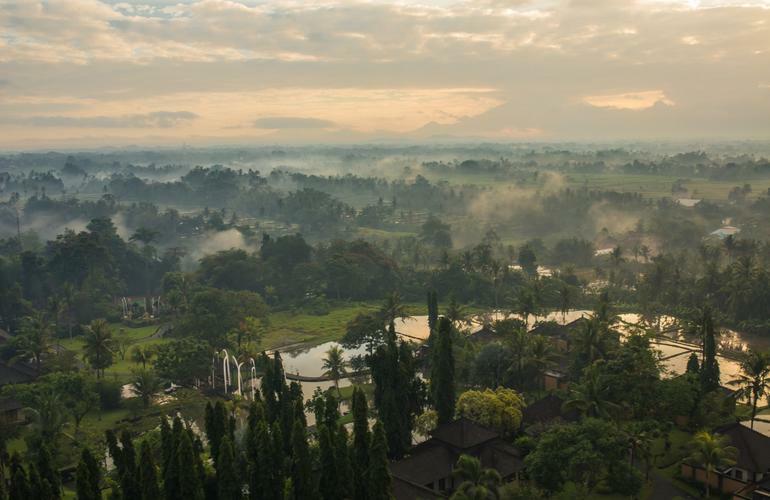 Agung in the near distance, expansive rice fields below, the forests of Ubud and the 5-hectare estate of Hendra Hadiprana. 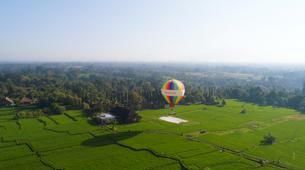 The advantage of this anchored hot air balloon is that each flight can be organised irrespective of weather and wind direction, allowing you to experience the same stunning views, without the logistical complications and last minute timings. 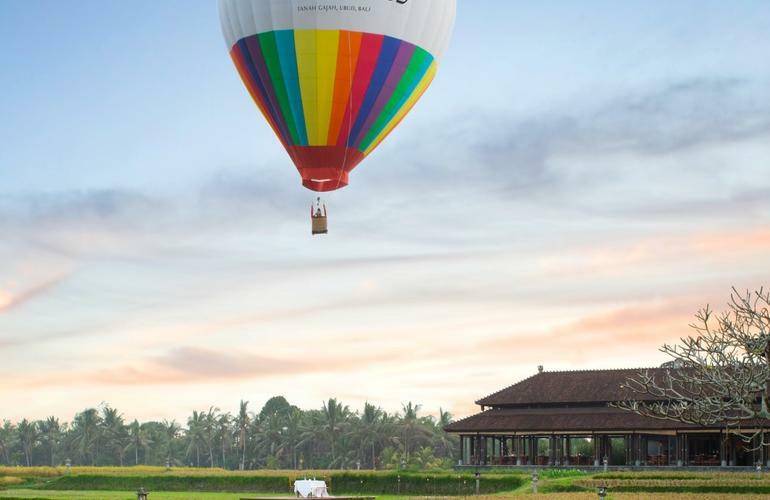 Moreover, this private hot air balloon ride is followed by a luxury meal of your choosing – allowing you to mark the moment with someone special. 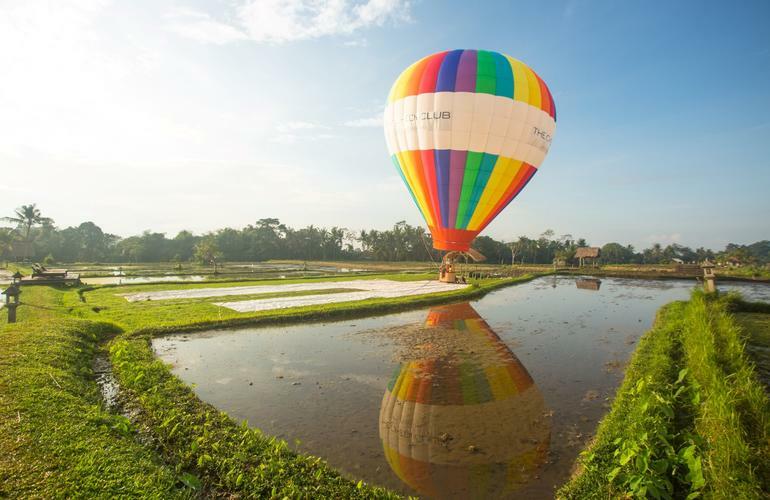 Each experience sets sail with a maximum of two adults as well as a certified pilot, though total guest weight cannot exceed 230kg. 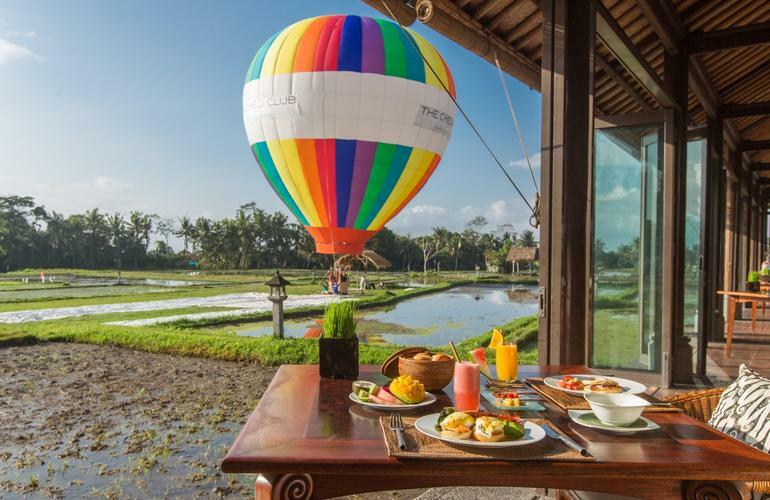 The hot air balloon ride is going to last about 7-10 minutes, however with the food & beverage experience, the total duration is 2 hours.